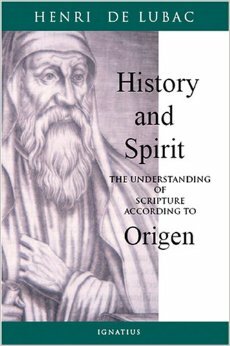 Hans urs von Balthasar suggested that Letter is to be transformed into Spirit. This isn’t necessarily a spirit-matter dualism (which I don’t think existed before the fall), though that is certainly true post-fall. Man before the Fall saw the connection between the forms to the universal Form, or Logos. St Maximus said that the one LOGOS is the many LOGOI (I am summarizing key parts from his Ambiguum 7). Collectively, the Forms are LOGOI, which is LOGOS, which is the Second Person of the Trinity. The Logos is revealed and multiplied in the Forms (logoi) which are then recapitulated back into the Logos (Ephesians 1:10). The Logos is the interconnecting cause that holds the Forms together. The Logoi, therefore, pre-exist in God. The Logoi is the content of the manifestation of the Logos. That manifestation is the Holy Spirit. Heidegger uses Husserl’s category of “intentionality.” We are always intending-towards or -about something. We don’t simply “think.” We think about something. Consciousness is consciousness about something. There are different modes of intentionality. We don’t simply “think.” We are “involved” (what Heidegger called “care”). Heidegger shifted the discussion from the cognitive to the sub-cognitive level, from the head to the kardia. Dasein manifests itself in falling, thrownness, and projection (329ff). Care–my being-in-the-world is wrapped up/alongside with others’ being-in-the-world. I exist in the world within an already-existing-network-of-relations. (2) Thrownness: my Dasein in the world is already-in-a-definite-world. This world has facticity. Its boundaries are fluid. (3) Projection: we can only understand Dasein in terms of the world. You can’t transcend yourself to understand yourself. You are finite. (4) Being-as-falling: this is the threat to being. Dasein has to face flux, uprootedness, and anxiety. “Ahead-of-itself” = in Dasein there is always something still out-standing which has not yet become actual (279). Death reveals this limit of Dasein. Death is the end to which Dasein is thrown. The possibility of death releases us from the illusions of the “they” (311). Death reveals the contingency and flux of all that is. Death manifests finitude. Grasping this finitude “snatches one back from the endless multiplicity of possibilities…and brings Dasein into the simplicity of its fate” (435). In the second section Heidegger revisits many of his main points in his analytic of Being (care, mood, falling, etc), but now he situates them within temporality. If being is always a being-there, then it is always a being-there-in-time. Temporality establishes our horizon. In conclusion Heidegger is important because he shows how the truth found in Plato’s forms is manifested in everyday experience. Hart suggests that without the analogia entis, revelation is impossible. If there is no analogy or connection between God and man, then either man cannot understand God’s words (equivocity; difference) or man is God’s words (univocity; identity; the problem of Cratylus). If analogia entis implies a sacramental link between God and creation, and if Barth rejected this as the invention of Antichrist, is it no surprise that Barth (and his followers) have such an anemic view of the sacraments? Yet, the connection is not an essentialist one, which is the case with chain of being. Boersma, Hans. Heavenly Participation: The Weaving of a Sacramental Tapestry. Baker Academic.